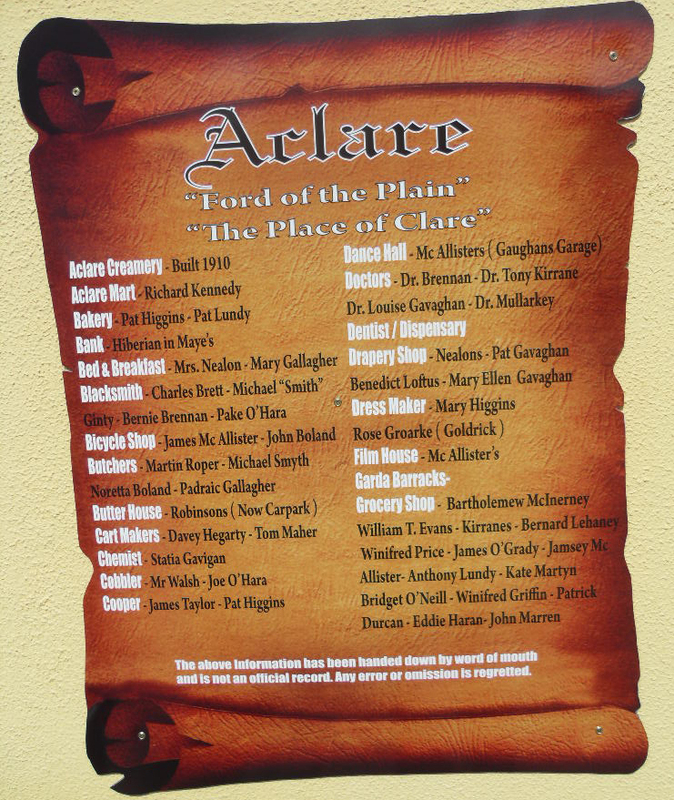 Aclare Old Fair Day (Revived) 3rd Aug 2013 | Where's Merrill? 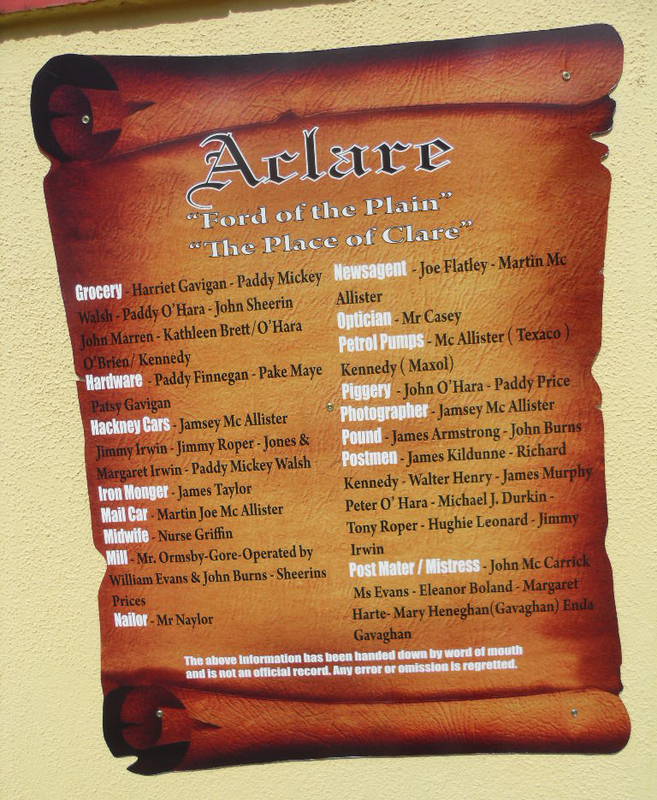 Earlier posts recall the days when Aclare village in County Sligo hosted one of the busiest Fair Days in the region. Back in the 19th century and early decades of the 20th century, the main focus of attention for buyers and sellers alike was the trade in farming livestock, followed by boisterous quaffing of ale and whiskey in the village’s many old public houses. 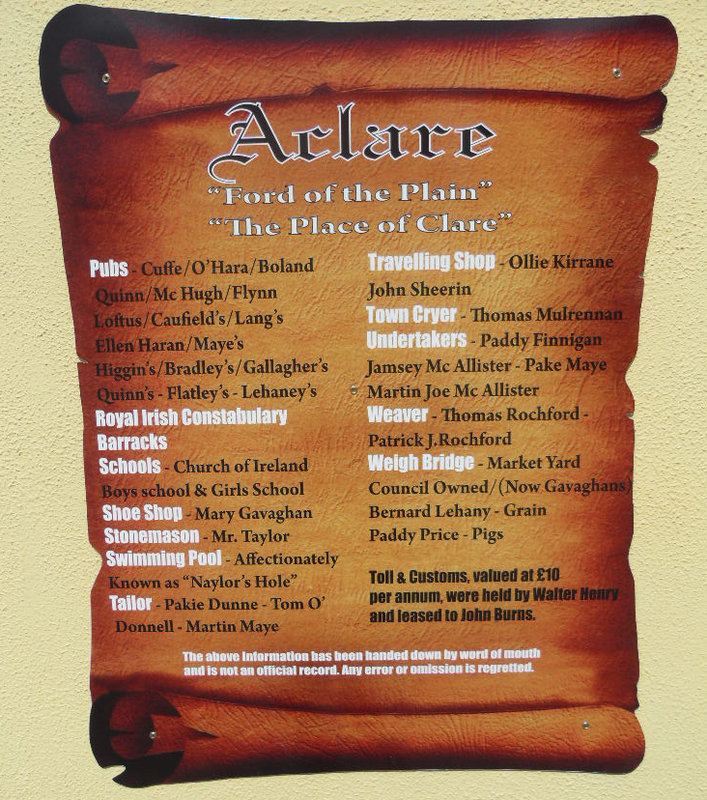 Today, prompted by the more genteel and nostalgic mood of The Gathering of 2013, Aclare has stepped back in time and the dozens of long-deserted old shops and business premises have risen from the grave for one weekend only. 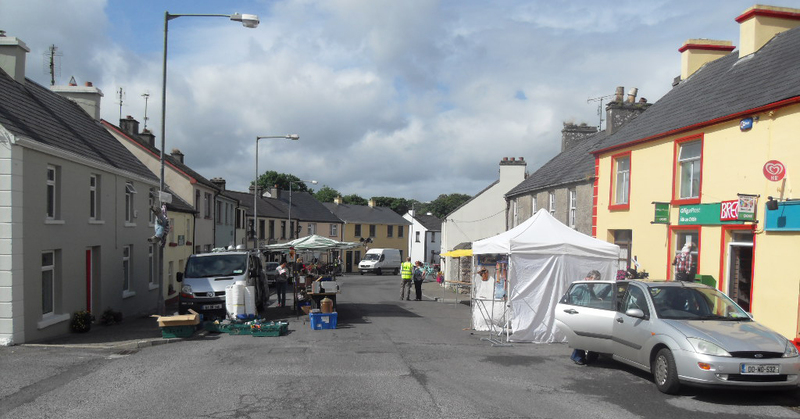 There are not many beasts of the field around (for which the Tidy Towns’ appointed street-cleaner is eternally grateful), but market stalls are displaying farming antiquities alongside freshly baked breads and cakes, lovingly made in the old farmhouse kitchens of the surrounding countryside. With an old-style Dinner Dance (for the traditionalists) and a Disco (for the younger brigade) to follow, boisterousness in the pubs might yet make a comeback. Thankfully, a growing tourism trade in our secret part of South Sligo is boosting the local economy, year on year. The unspoiled mountains and lakes appeal to young and old alike. More information about the area can be found via the link to our Walking Festival brochure (below). Everyone will be made more than welcome. Don’t all come at once though …. the beauty is in the serenity …. followed by great music and craic in the bars. Pingback: Aclare: back then, and now | Where's Merrill?